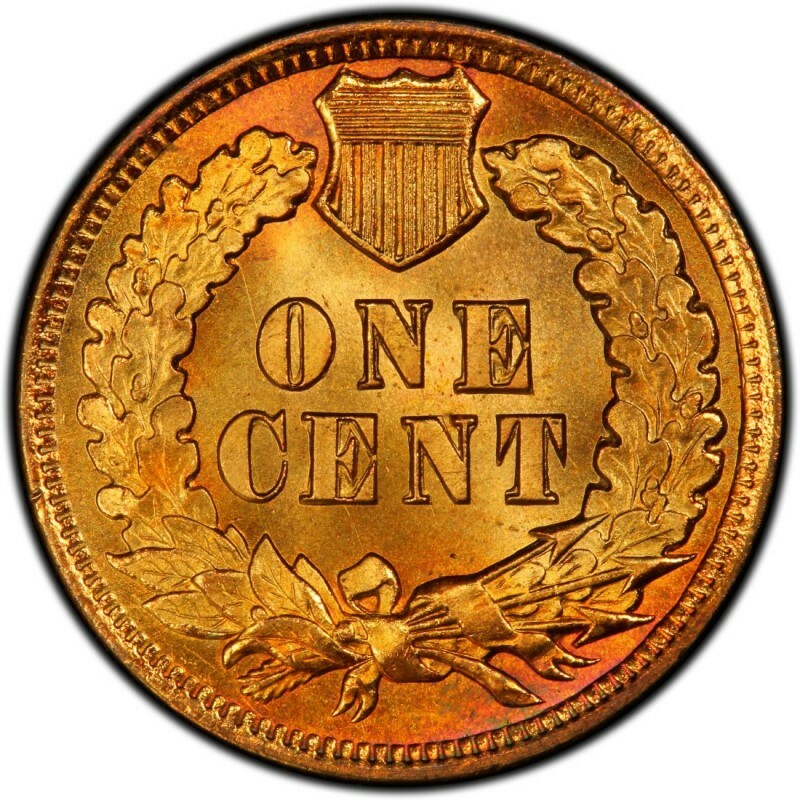 1902 Indian Head cents are quite common and are still widely available for coin collectors. Mixed-date rolls and bags of Indian Head cents often contain 1902 pennies. They’re also available at most coin shops that deal in 19th- and 20th-century U.S. coinage. 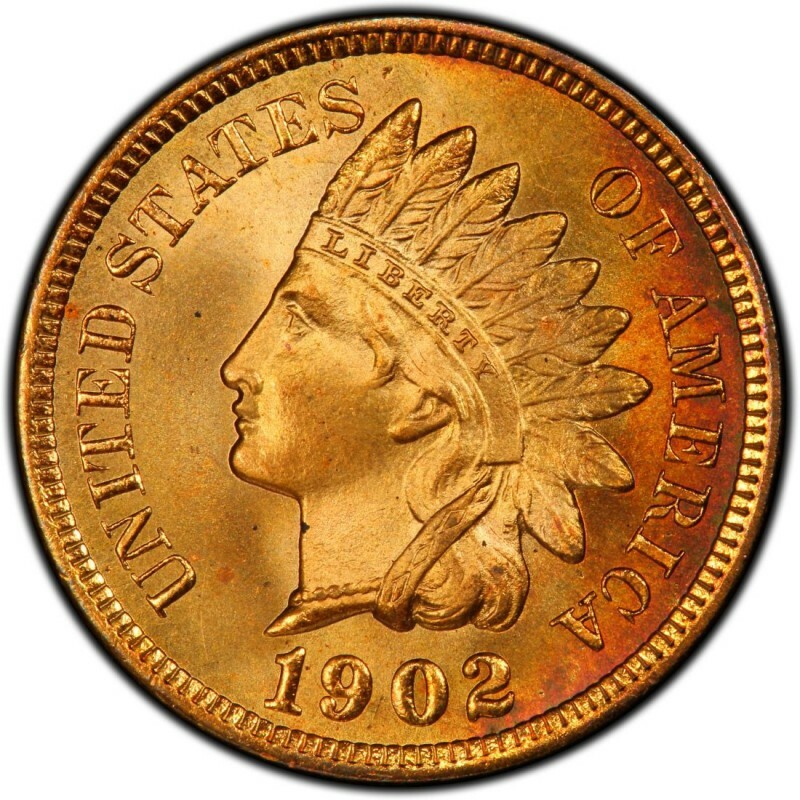 Coin collectors often pursue 1902 pennies for type sets as well as to complete series collections of Indian Head pennies. 1902 Indian Head cents were minted in large numbers, with 87,374,704 business strikes coming from the Philadelphia mint. 2,018 proof specimens were also made in 1902. The common business strikes retail for $2 in Good-4, which according to most collectors of 20th-century coins is considered the lowest collectible grade. 1902 proof Indian Head pennies sell for $1,275. James B. Longacre, Chief Engraver at the United States Mint from 1844 until his passing in 1869, designed 1902 Indian Head pennies. Interestingly, the “Indian” on the penny isn’t actually a Native American at all. In fact, Longacre’s red-headed daughter, Sarah, was the model for the Indian Head penny. The story goes that Sarah was meeting with a Native American, who playfully placed his traditional headdress atop the young girl’s head. Her amused by-standing father sketched the scene to show his wife. As a side note, Longacre also designed the U.S. two-cent piece, which in 1864 became the first coin to bear the motto IN GOD WE TRUST.